With Melbourne’s combination of friendly locals, art culture, unique cafes and restaurants, art galleries, and more, it’s no surprise Victoria’s capital is often regarded as the most livable city in the world. 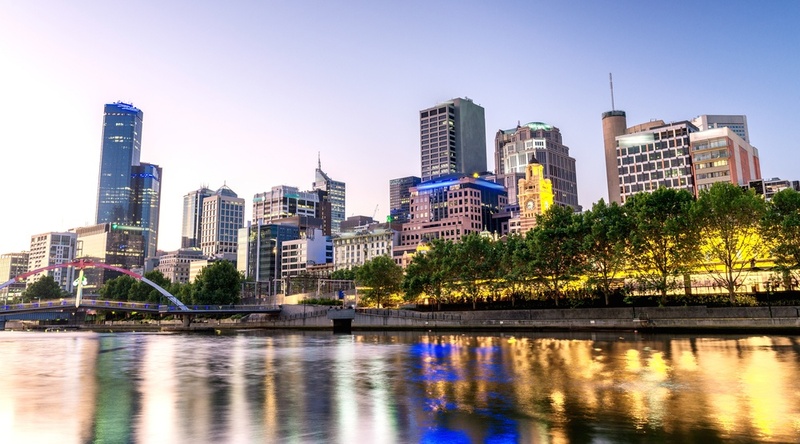 Melbourne has plenty to offer visitors from all around the world, with a temperate climate (meaning any time of year is perfect to go) and a convenient public transport system. You can look forward to a mindblowing coffee and cafe experience, as well as major sporting events throughout the year. Don’t forget to check out our full list of things to do in Melbourne for all that this is amazing city has to offer. To help you navigate your way around while in town, here are some of our favourite neighbourhoods in Melbourne and what to expect from them. The CBD is where to go while in Melbourne for the major tourist spots. Here’s where you can find Queen Victoria Market, a paradise for foodies. Don’t forget to grab a cup of coffee from Market Lane Coffee. You can also conveniently get around the CBD via Melbourne’s tram service — Flinder’s Street Station and Federation Square are both spots you can’t miss if you’re a first-time visitor to Melbourne. From the heart of the CBD, it is only a short walk over to Hosier Lane, an alley adorned with vibrant graffiti and Melbourne’s street art capital. The particular lane has seen works from famous artists including Banksy and Lushsux, so keep a keen eye out! Just outside of the CBD and easily accessible via public transport, this is a super desirable neighbourhood to stay and play in. With an array of cool and hip cafes, as well as a thriving music scene, Richmond is an exciting place to spend the day. Take a walk along Bridge Road to get your retail fix, and be sure to grab a meal at one of the local Vietnamese eateries in the area — try Tran Tran, you will not regret it. Richmond is also home to the Melbourne Cricket Ground, where you can catch a cricket game or Australian Football League (AFL) when in season. Make sure to check out all the bars and restaurants on Swan Street – you’ll want to go early on a Friday or Saturday if you don’t want to wait in line! The overall vibe in the Fitzroy and Collingwood is hip and alternative. Here you can find a variety of cafes and restaurants, street art, and some great rooftop pubs. For one of the best Asian-fusion experiences in Melbourne, check out Rice Paper Scissors. Smith Street is where you’ll want to head for independent retailers and vintage finds. Look no further than Brunswick Street for Melbourne’s best bars, live music ranging from jazz to indie rock. This area is also where you will find unique Australian art galleries and where you will find popular tattoo artists. A hotspot for backpackers, this beachfront hood brings good vibes and even better patio drinks. If you’re looking for somewhere to party and make a bunch of new friends, St Kilda is the area for you. It is home to a variety of popular brunch cafes, as well as the famous Luna Park — stop by and take a picture in front of the iconic “big mouth” entrance! Make sure you also check out St Kilda Beach, where you can not only see the beautiful sunset, but even catch the fairy penguins waddling up the beach at nightfall (you bet, Australia has penguins)! Calling all shopping addicts: Chapel Street in Prahran is calling your name. Head down here for some serious retail therapy, and just a short walk off Chapel Street is Greville Street — where you can find funky record stores as well as vintage treasures. The shops are not all the area is known for: Prahran is well-known for its advancements in the food and drinks world, with strange new bars with unique drink concoctions popping up frequently. A necessity on Chapel Street? Mr Miyagi, a casual and modern Japanese eatery with a fun drinks menu. Every notable city needs a Little Italy, and as one of the most food-obsessed cities in the world, Melbourne was not about to be left out of this group. Head over to Lygon Street in Carlton for a selection of Italian terrace-style dining serving up the best pizza, pasta, and gelato (please go to Pidapipo) you can find in the city! The area has earned itself the title of best Little Italy in Australia — with good reason. One of Melbourne’s most affluent suburbs, Hawthorne is home to a wide variety of people, from families to university students at Swinburne University. Due to the mix of residents, you can find a huge range of restaurants, shops, and things to do in the area. If you’re in the mood for brunch, you have plenty of choices — try Short Straw, tucked away from the hustle and bustle of the busy streets. One of the hidden gem neighbourhoods of Melbourne, Williamstown is close to the CBD by ferry or train and was established as Melbourne’s first seaport in 1837. Since then, it has been developed into a popular and lively maritime village and is a great place to get fish and chips and take a walk along the beach during the summer months. Williamstown also features one of the best views of Melbourne’s city that you can find, so have those cameras ready. Located just thirty minutes from Melbourne’s CBD, Brighton is known for its scenic views, beachy-vibes, and relaxing ambience. It is also home to one of Melbourne’s top tourist attractions, the Brighton Bathing Boxes, a line of over 90 colourful bathing boxes that date back to the 1900s. Your trip to Melbourne is not complete with an Instagram-snap at the Brighton Bathing Boxes! Want to contribute a neighbourhood guide for your own city on Mapped? Give us a shout at [email protected]!